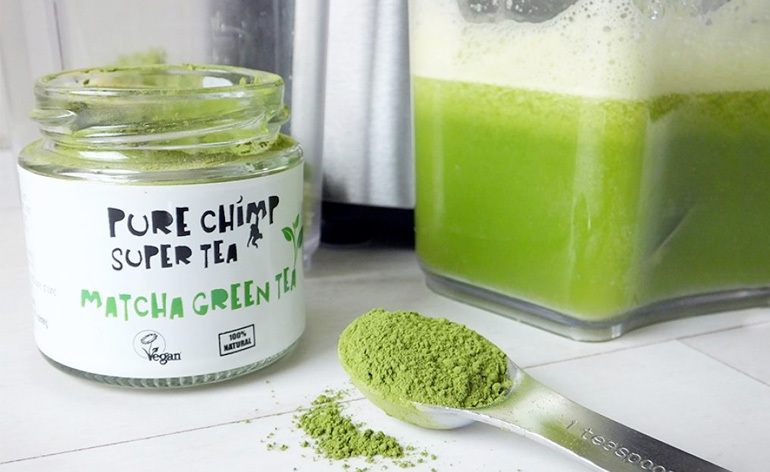 Home » Food Products » Pure Chimp 14 Day Matcha Challenge! For the last 14 days, I have undertaken an experiment using Pure Chimp’s Matcha Green Tea. I decided to take them up on their #14DayMatchaChallenge hashtag which appears on their various social media sites. I also wanted to try this because it boasts many benefits of drinking matcha tea for 2 weeks; including lowering cholesterol and boosting memory and concentration. I’m an avid green tea drinker so would naturally relish the challenge! 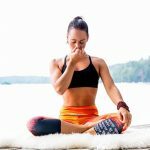 To gain the best results for this, I only drank one cup of matcha tea every morning, instead of drinking five-six cups of normal brewed green tea throughout the day. The rationale? Well, one cup of matcha tea is the equivalent of drinking ten cups of brewed green tea! Pure Chimp have compiled a host of benefits by doing their #14DayMatchaChallenge but I’ll outline the top 5 results I gained from the Pure Chimp 14 Day Matcha Challenge! I’m quite an energetic person as it is, so it took me a while to notice the change in my energy levels. After a week of drinking the matcha tea, I found that when I was waking up in the morning I would be fully alert and not feel that grogginess you get when your alarm first goes off! I also kept a track on my FitBit of how many steps I was doing daily, and throughout this two week experiment my steps averaged a change of 2000 more per day. Alongside my increased energy levels, my mood also lifted too! Sometimes I can get quite irritable and stressed at work but recently I’m finding myself running around work smiling all day and just feeling overly positive about everything. Matcha tea has been shown to increase serotonin and dopamine in the brain so this could explain why. One reason I drink green tea in general is because it helps to boost your metabolism. With this particular tea, I’m definitely slimmer than I was before I started this experiment and I’m thanking the matcha for this! Alongside my rise in energy, I feel as though my metabolism is more active as I’m burning far more calories daily than I was 2 weeks ago. A compound in matcha called epigallocatechin gallate has actually been shown to raise metabolism and stop the growth of fat cells – so this could explain why I’m feeling a little lighter after two weeks! I actually do feel like my body is going through a great detox at the moment, or as we could call it here – a teatox! Since drinking this tea I feel as though it has given my insides a good cleaning out and I feel this has manifested through my improved mood and energy. I did some research before I started drinking this tea and it noted all the potential negative side effects such as headaches, insomnia, diarrhoea and irritability. I can honestly can that I didn’t suffer from any of these effects during or after using this product. Merging this in with my last point, I feel as though my skin has received the biggest detox from this experiment as my face looks much more fresh and radiant. The antioxidants in this tea are definitely shining through my skin. I’ve never had particularly bad skin, but it can flare up sometimes, especially around my time of the month! However, this month it hasn’t flared up at all during my menstrual cycle and I suspect that matcha tea may well be to thank for this. Overall, I’m quite impressed with the results from the Pure Chimp experiment, especially the weight loss. I’m going to carry on drinking it every morning as I really like the taste of it, it’s almost as if you can taste how healthy it is. I’m also pleased with the other benefits (mood, skin mentioned above) why not give it a try? If you’d like more info on this particular brand of green tea or place an order, do visit the cool, fun Pure Chimp site!